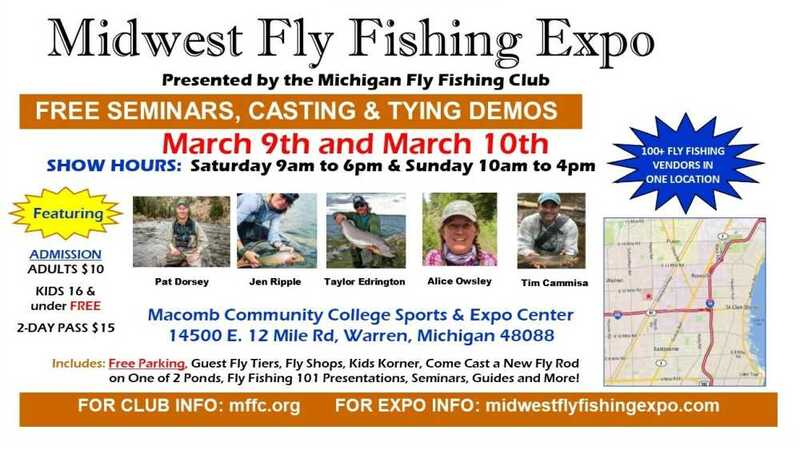 The 2019 Midwest Fly Fishing Expo is scheduled for Saturday, March 9, and Sunday, March 10, at the Macomb County Community College Sports and Expo Center in Warren, Michigan. Adult admission is $10 per person or two-day tickets for $15. Cash only. Under 16 years of age free admission. This, the oldest all-fly fishing show east of the Mississippi, covers over 61,000 sq ft of exhibit space. Come experience dozens of presentations and demonstrations and more than 130 exhibitors including rod builders, fly tyers, casting ponds, kids activities, guides and outfitters, artists, booksellers, float boats, and conservation organizations. Some of the biggest names in fly angling will be speaking -- Pat Dorsey, Jen Ripple, Taylor Edrington, Alice Owsley, and Tim Cammisa. Most of the proceeds from the Midwest Fly Fishing Expo flow right back to the resource – Michigan’s Trout, Salmon and Steelhead rivers. That means better recreational opportunities for fly anglers all across Michigan. 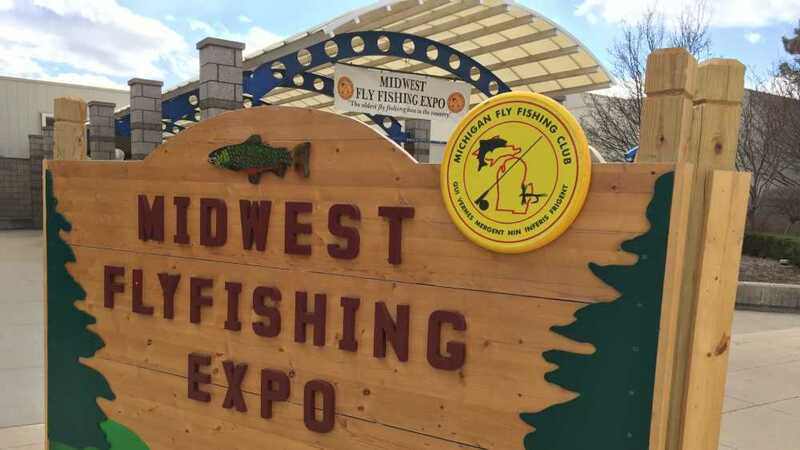 The Michigan Fly Fishing Club, a non-profit organization, has funded close to $500,000 worth of conservation projects since hosting the first Expo in 1978. In this last decade alone, thanks to you purchasing tickets for the Expo, over $95,000 has been donated to various groups here in Michigan to improve our fishing.